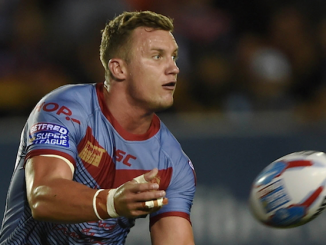 There were some excellent performances in round six of Super League, but who made our Team of the Week? Backed up his superb showing against London with another excellent display this week. He may not have crossed for a try but the 28-year-old is developing into the man who makes Justin Holbrook’s side tick. Coote has defence to match and is always there to sweep up the danger when called upon. Showed his clinical edge for the second time in as many games for Salford. His first try came about after good hands on his inside, while the 22-year-old showed real endeavour for his second score, squeezing his way over from close range. Had the Hull KR left-edge defence running scared all afternoon at KCOM Craven Park. 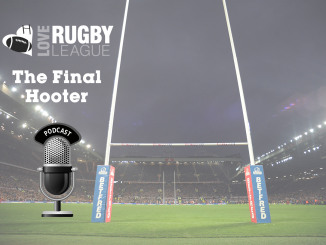 His line break in the build-up to Lucas Albert’s score was outstanding, while his kick for Lewis Tierney’s match-winning try showed supreme composure when the Dragons needed it most. Is rapidly developing into one of London’s standout players of 2019. 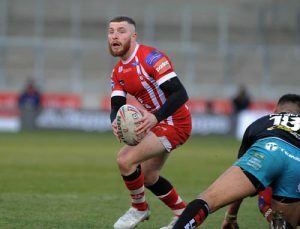 Kear made more metres (200) and carries (20) than any other player in Super League last week – outstanding figures for any player, let-alone a newly-promoted one. Showed great determination for what he thought would be the game-clinching try against London on Friday night. 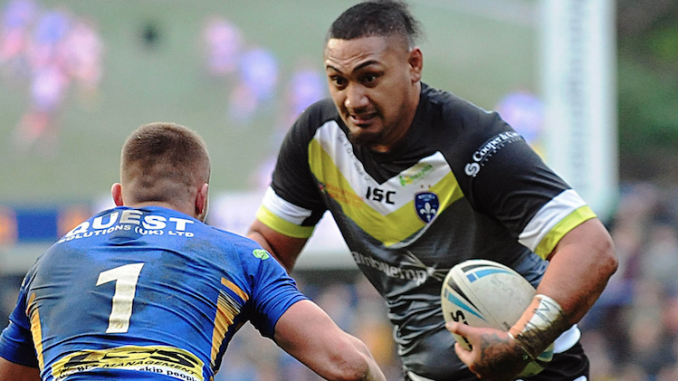 Briscoe has already scored four tries this year and has performed relatively well for Dave Furner’s misfiring Rhinos. Brough secured a try assist against Hull FC and had an afternoon to remember on his former stomping ground. 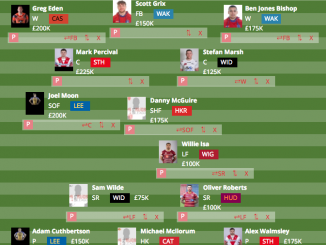 The 36-year-old is clearly the ringleader for Chris Chester’s side in 2019, dictating the speed of Trinity’s play and allowing Jacob Miller the time to roam around and find any chink in the armour to exploit. The 23-year-old has produced some sublime moments this season but his assist for Jake Bibby’s second try was out of this world. Hastings has more tries and assists (11) than any other player in the competition and could very much be a dark horse for this year’s Steve Prescott MBE Man of Steel Award. Despite a late sin-binning, Pauli Pauli was a constant threat with ball in hand and rampaged his way over the whitewash with 12 minutes remaining. The 24-year-old has clearly been working on his strength and fitness in the off-season and it is starting to show. 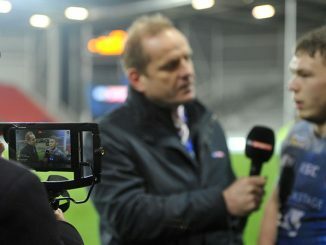 Clark showcased the endeavour, desire and determination that has steered Warrington to second place in the table after six games. The 26-year-old made 30 tackles and 20 carries and his average gain of 8.10m per carry would lay for the platform for any side to win any game. As he always does, Fifita bossed the middle of the park on Friday night for Trinity, making 10 tackle busts and more metres (162) than any other player on the park. He has now broken the line 39 times over the course of the season and seems to be getting better as the games go by. Tomkins probably won’t get a better solo try in his career than his score against Catalans. His weaving, feigning, jinking manoeuvre to the try-line was a pleasure to watch. 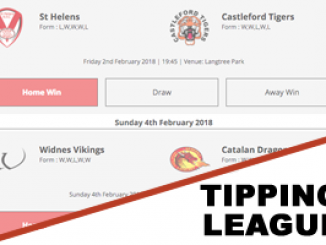 The KR Captain will just be disappointed that it didn’t lead to two points on the Super League ladder. Currie is looking visibly more confident with every passing minute on his return from injury. The 24-year old was denied by a last-ditch Zak Hardaker tackle in the first-half but still produced a sublime pass to tee up Stefan Ratchford’s try. If he keeps up this level of performance, a place in the Great Britain squad may not be out of the question. Knowles is most definitely Saints’ most improved player of 2019. The 22-year-old has played himself into Justin Holbrook’s starting lineup and shows no signs of stopping. The Welsh international led the way in defence with 27 tackles and bagged a try that his performance more than merited.